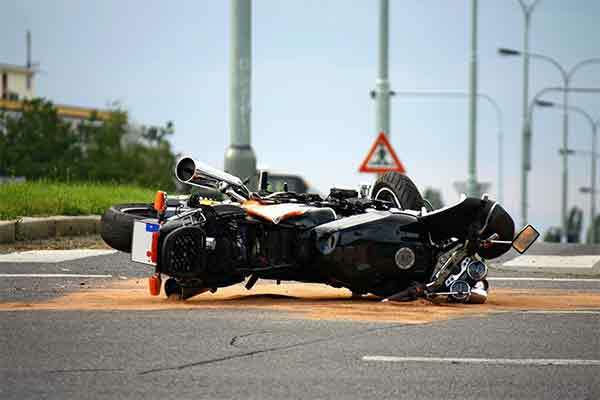 Have you or someone that you love been injured in a Chicago motorcycle accident? What really makes our firm unique is that we have an excellent combination of negotiation and litigation skills that make our Chicago motorcycle accident attorneys a formidable opponent. We won’t back down from a trial and our lawyers have extensive trial experience. Co-founder and partner Michael Goldberg is recognized by his peers and the Illinois legal establishment as a trial attorney that places his clients interests first. Goldberg uses a comprehensive litigation strategy so that clients have the best opportunity to get the compensation that they deserve. At the law offices of Goldberg Weisman & Cairo, we have a proven track record of success and have been helping Chicago injury victims to fight for their rights for more than three decades. Unfortunately, motorcycle riders are at a significant disadvantage in an accident. In fact, over 75% of motorcycle accidents occur between a motorcycle rider and a car. This means that motorcycle riders will often receive serious and/or fatal injuries in such collisions. These severe injuries can impact the spine, the head and the limbs. Because motorcycle riders are unprotected, their injuries can be fatal. In those cases, we help grieving family members file for wrongful death lawsuits. Our Chicago motorcycle accident attorneys can help you recover the financial compensation you deserve after a motorcycle accident. The attorneys at Goldberg Weisman & Cairo help injured motorcycle riders by helping them get the compensation that they deserve. In fact, we often include provision for these expenses when we begin building your damages lawsuit. Any settlement will depend on your unique circumstances. What really makes our firm unique is that we have an excellent combination of negotiation and litigation skills that make our lawyers a formidable opponent. We won’t back down from a trial and our Chicago motorcycle accident attorneys have extensive trial experience. If you or someone you love has been seriously injured in a motorcycle accident that was caused by another motorist, we are ready to help explain your legal options and can be reached online 24/7 via our Live Chat or “Free Case Evaluation” form. Settlement -A male driver sustained a traumatic brain injury after a truck from a major trucking company collided with his vehicle.